156 HQI spotlights mounted on 14 masts will create lighting for the racetrack every evening until 22 hrs from now until Sunday. 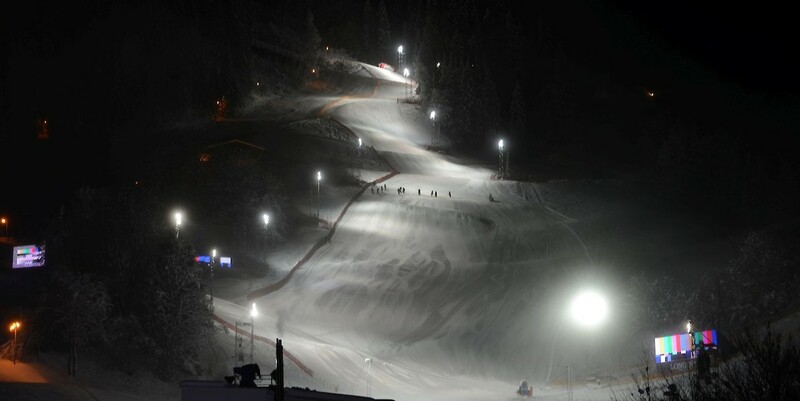 The floodlights will also provide improved visibility for the athletes during the classic Slalom race on Sunday, 24th January. Incidentally, the Ganslernhang was bathed in the glare of floodlights as far back as in 1950.